– Are you looking for a quick and efficient way to connect to your CAN bus for development, testing or troubleshooting? 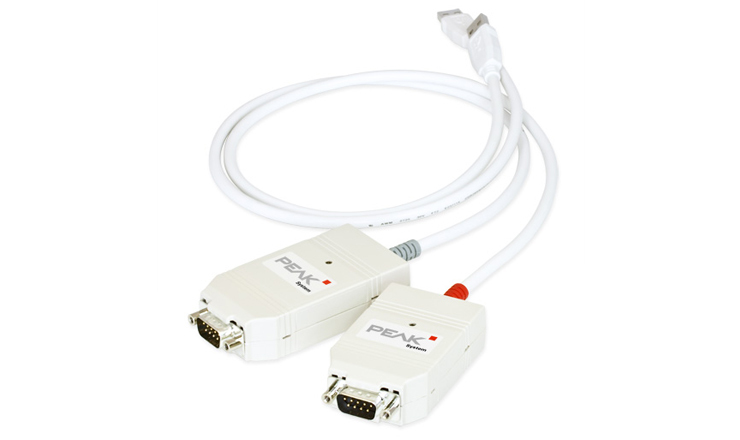 PEAK offers a wide range of products for CAN based communication systems. For more information please select your area of interest below. »»Popular Peak-System device: PCAN-Wireless Gateway – Links CAN Buses via WLAN. PC/CAN interfaces (e.g. PCAN USB, PCAN-PCI and PCAN-PCI Express). Peak-System offers software packages for quick and easy development of PC based CANopen applications as well as a wide range of drivers and tools. The following PEAK-System tools are used for development, testing and servicing of Controller Area Network based systems. PCAN-Explorer from Peak is a universal tool for monitoring data traffic on a CAN network. For easy and clear allocation of the individual messages, these can be identified as so-called symbols. The integrated VBScript support allows the creation of macros to automate complex tasks. The integrated data logger means that the data traffic of a bus can be recorded, analyzed, and stored. PCAN-Explorer is designed as automation server and can therefore be remote controlled through scripts.